Enjoy the flavors of the northwoods in a new, industrial setting. Northwoods Brew Pub has relocated from the south side of Eau Claire to an expanded location down the road in Osseo. Diners can enjoy sandwiches, wraps, burgers, pizzas, and more, as well as 29 handcrafted beers and six sodas, all brewed on site. During the warmer weather, there's covered outdoor seating on a massive patio. Tours of the brewing operation available. Enjoy the flavors of the northwoods in a new, industrial setting. Northwoods Brew Pub has relocated from the south side of Eau Claire to an expanded location down the road in Osseo. Patrons will enjoy changing seasonal menus and 29 handcrafted beers as well as six sodas, all brewed on site. Covered outdoor seating will be on a massive new patio. Happy hour will be 3-6pm Monday-Fiday and all day Wednesday. 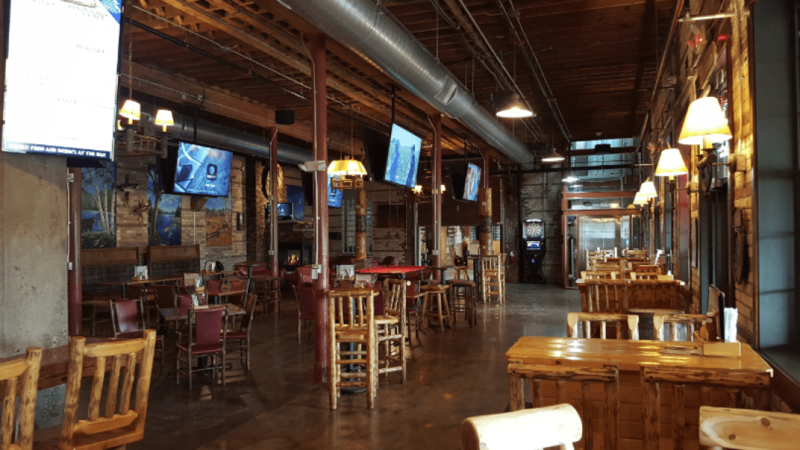 Also features a custom bar, a fireplace, lots of TVs, and free pool tables and popcorn. Tours of the brewing operation available.